Joining the notorious ranks of secretive school poopers at New Jersey schools, a superintendent in North Jersey is accused of routinely pooping near a high school's athletic fields. 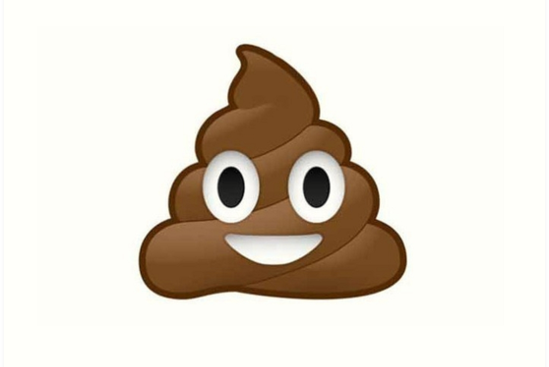 The alleged pooper, Thomas Tramaglini, 42, is the superintendent of Kenilworth Public Schools, which oversees a high school, a middle school and an elementary school in Union County. According to police, the pooping occurred at nearby Holmdel High School, where students and staff complained of finding human poop near the track and football field on a daily basis. The school started monitoring the area and identified the pooper as Tramaglini, who has been charged with lewdness, littering and defecating in public. According to NJ.com, Tramaglini lives in Aberdeen, which is about three miles from Holmdel High School. The website reports that Tramaglini was caught in the act of pooping around 5:50 a.m. Monday, but it was unclear why exactly he was near the high school in the first place. Kenilworth Public Schools issued a statement about the pooping incident Wednesday. While they did not explicitly mention the pooping, they said that Tramaglini has been placed on paid administrative leave. The statement said that faculty could only be placed on leave without pay for an indictment or tenure charges; the alleged public pooping didn't fall under either of those categories. Not everyone believes Tramaglini is in the wrong for the alleged pooping. A number of readers wrote in defense of the superintendent to the Asbury Park Press. Kathryn Acevedo noted that some people have medical conditions that make such pooping unavoidable. Jim Nusbaum suggested that maybe Tramaglini was on his way to work and ran out of options for where to poop. In regards to the pooping, George Krebs wrote that Tramaglini "obviously" had an "emergency." NJ.com reports that Tramaglini is due in municipal court Monday morning to answer for the pooping-related charges.